The 31-year-old Spaniard from Barcelona was skiing in the Baqueira Beret ski resort when the avalanche hit, a spokesman for the Mossos d’Esquadra police force in the northeastern region of Catalonia told the AFP news agency. Catalonia’s ski resorts of Pallars, Espot and Port Ainé in the Pyrenees have had fresh snow fall of between 60 and 80 millimetres during the week. 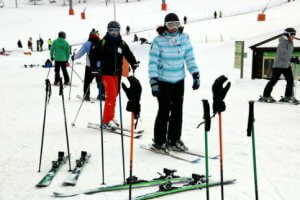 The head of the Port Ainé and Espot resorts, Xavi Berguedà, said that skiing conditions would be ‘optimal’ over the weekend. On Friday, strong winds caused some of the higher areas at Catalonia’s La Molina resort to be closed, but 40 of its 66 slopes would be open over the weekend, providing 38 km of snow to ski on.